Today, Energy Management Systems of intelligent buildings, based on ICT (Information and Communications Technology), have been developed to measure the status and amount of energy saved in buildings. However, these systems do not have motivation of users to save energy. This research begun to propose a new concept of a sustainable building in order to invoke interests through gamification principles. The approach of this project is based on user research, interview and exploration. It is expected to save core energy by reducing the amount of lift used. With the Collective Energy Platform, whenever the user moves up and down every floor, the reader can read the user data. The amount of energy for using elevator is converted into coins, which is able to apply for buying product in the building or a charity after being accumulated for a certain amount. 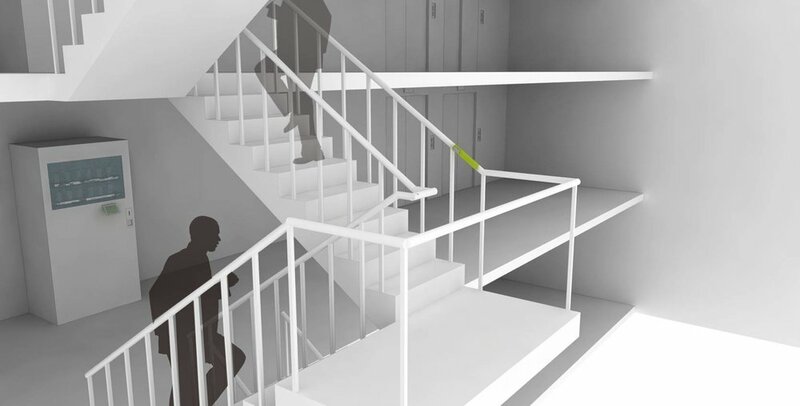 This could give a chance to re-think about utilising abandoned space spaces by making a circulation with stairs and propose a new type of sustainable building with users' spontaneous participation through gamification theory. To demonstrate feasibility, I made a prototype by using xbee communication module with RFID. Project URBAN HYBRID was demanded to demonstrate how to change people’s behaviours and to make a participation by media. This is a part of 'Collective Energy Platform'. 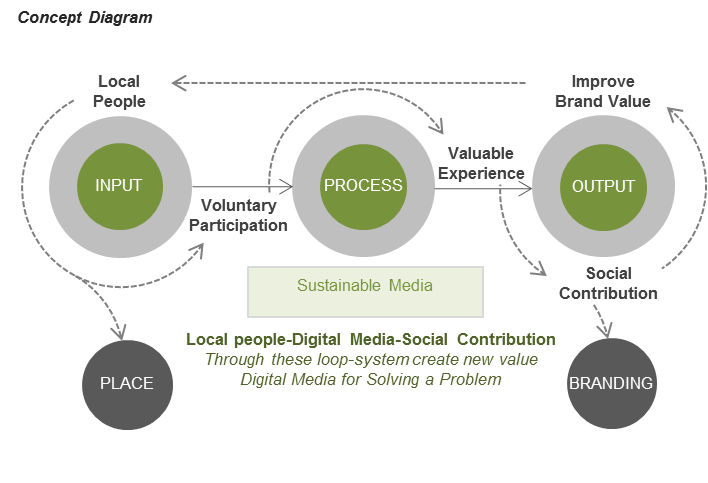 This sustainable system is based on social interaction with branding, which is for spontaneous, personalised and collaborated participation through digital media. Inspired by children’s imagination of flying and their sketch of ‘fan’ shape as flying gear. Through this exhibit, audiences can generate or collective wind energy. 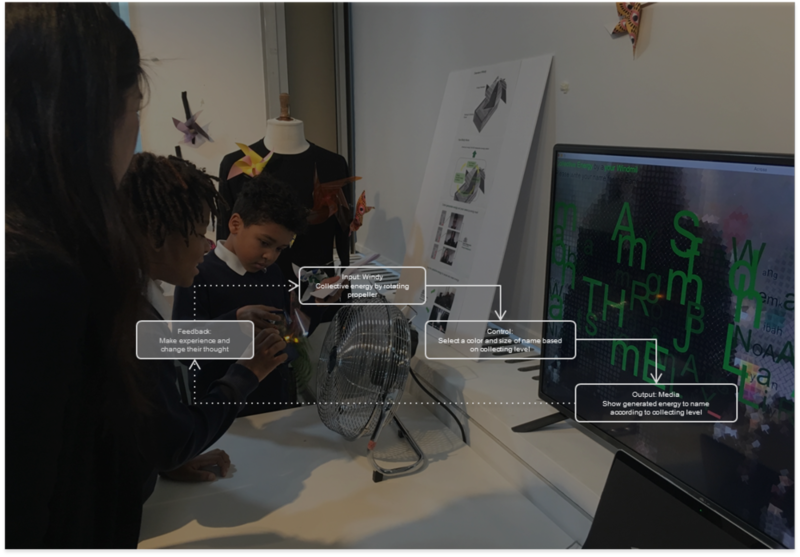 This encourages them to think about the environment, a sense of collaboration and alternate forms of energy creation.